There have been many events across the world involving exhibitions, school assemblies and talks. Contact us to book an Exhibition and/or talk for your students or community group on the story of the Schools’ International Peace Quilts amazing journey. One minute of the BBC Look North clip. 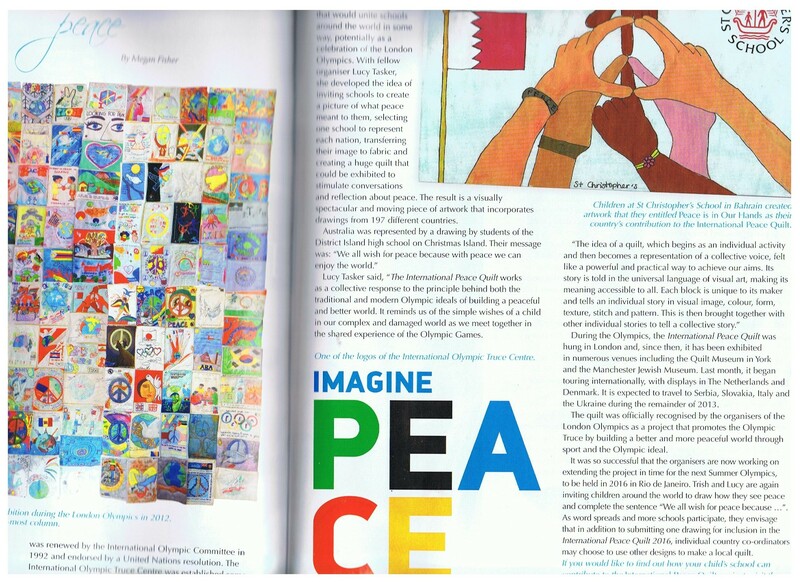 Thanks to Megan Fisher for writing this article on the Schools International Peace Quilt in the Quilters Companion magazine published in Australia. Megan viewed the children’s art work in the Jewish Museum in Manchester and was inspired to write about what she saw. 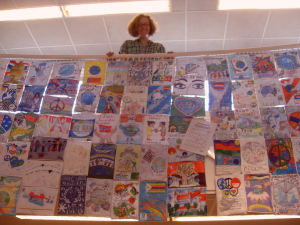 Copyright ©2009-2018 Schools’ International Peace Quilt, All rights reserved.